Our fourth Creative Hotspot is coming closer. From Mid-Sweden Kristina Sandberg and the twin sisters Fanny and Klara Källström will participate through a Creative Momentum project. – I am really looking forward to it, it feels very nice that we are leaving for Iceland soon, Klara says. 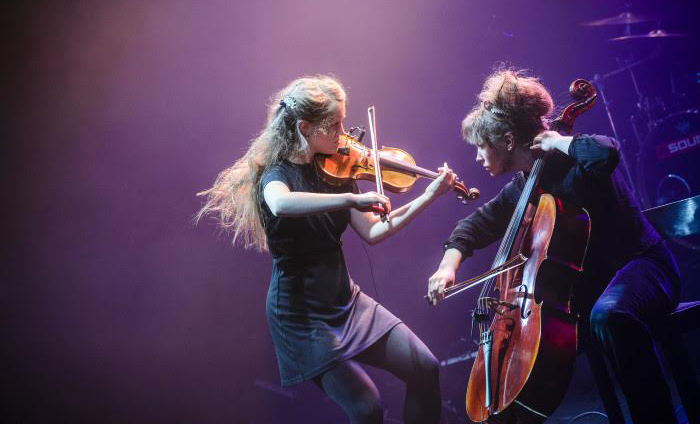 Klara is educated in classical cello and her sister Fanny in classic violin, together they form Duo Systrami. Their music portraits natural phenomenon such as the storms, the dark seas and the ice breaking. 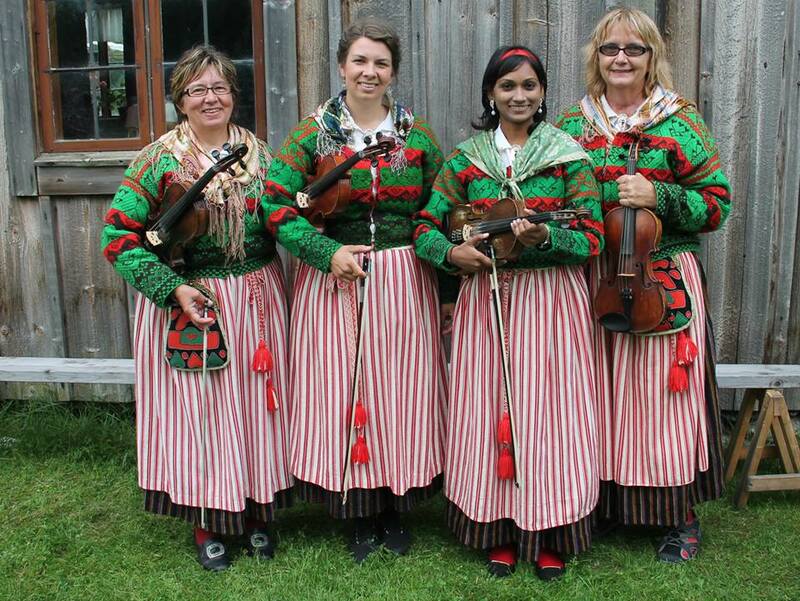 They have also been nominated as the newcomer of the year at Folk- och världsmusikgalan 2017 (Folk and World Music Award). In November last year they released their first full-length album När Isen Går (When The Ice Breaks) which is inspired by the dramatic and diverse landscape in their region. – Since we have just released our album we need all the new contacts we can get outside Sweden. 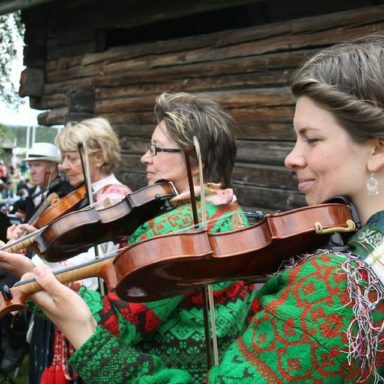 We have made a lot of concerts in Sweden and playing at Vaka Folk Arts Festival in Iceland would be a perfect way to spread our music and to meet other people to collaborate with. Kristina Sandberg is also looking forward to the festival. 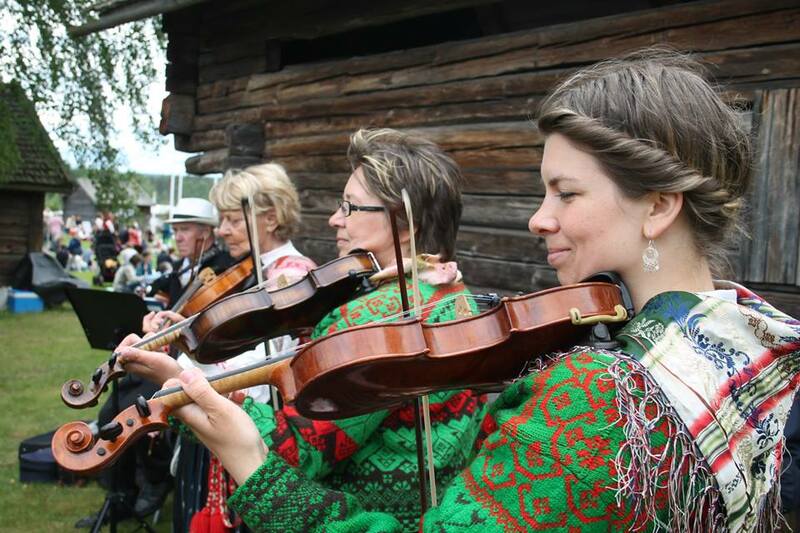 She is a singer and violin player living in Sundsvall. 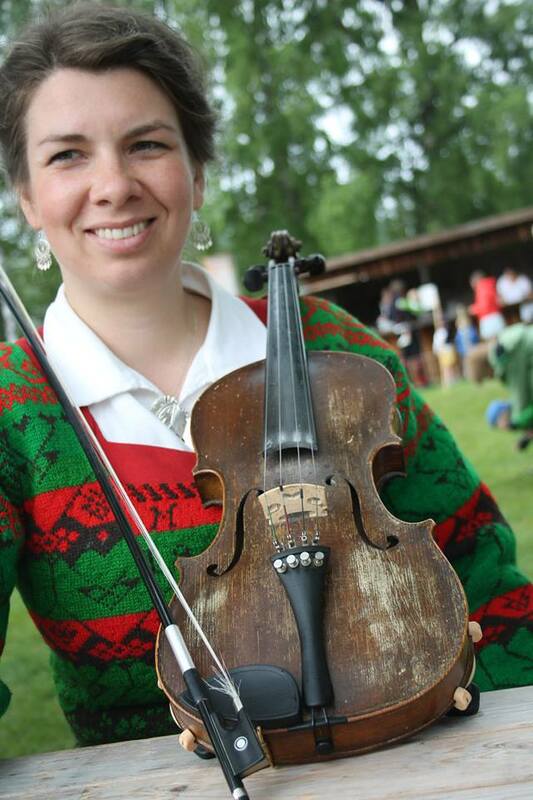 With two parents working as music teachers she grew up with folk music. Kristina has been singing and playing at many different occasions, such as music festivals, church concerts, weddings, funerals etc. both in Sweden and abroad. At the moment, she sings in two different choirs, one of them is Confetti led by the well-known Kjell Lönnå who has participated in several tv- and radio programs related to music. Kristina is also a graphic designer and have made many folders and advertisements for music events. She has won price for best cd-cover for her work for Föreningen Barnfiolen (an association for young violin players). 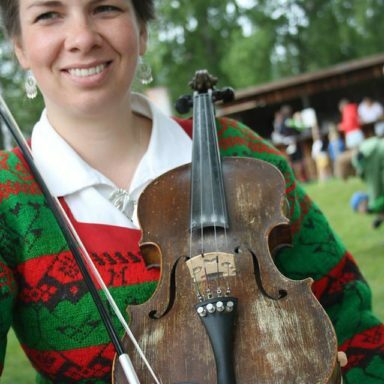 She is used to encourage young players and has worked at a folk music camp for kids for many years. – Going to Vaka would give me new inspiration, courage and knowledge to develop my playing and composing. It is an opportunity to network and find new friends and contacts. It will give me a push for that change I am looking for in my life. 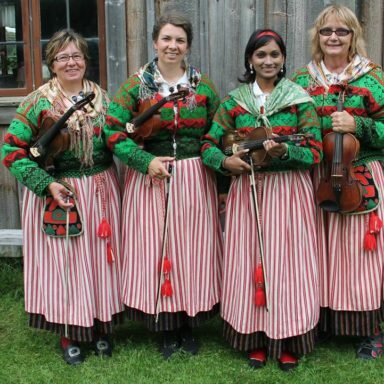 In Mid-Sweden, there is a huge tradition of folk music gatherings where people meet up and play together wearing traditional costumes. During summertime Kristina plays at several gatherings like this.